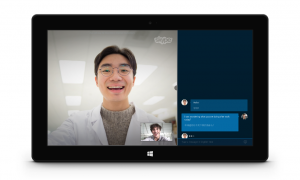 After announcing the first phase of Skype Translator preview last year in December, the video-conferencing platform from Microsoft takes the next step of its current preview and adds support for two new languages: Italian and Mandarin (Chinese). Microsoft’s translator service was initially bilingual, offering only Spanish and English support, but starting yesterday, April 8th, it will also provide real-time translation for one of the world’s most popular languages: Mandarin Chinese. One of the main objectives of Skype Translator is to enables users a better way to connect with people around the world, no matter the language spoken, and to break the language barriers. Another updates announced for this new release also include the option to hear the instant messages people send to you in a chosen language with a text to speech translation feature, as well as an automatic volume control enabling your partner to speak while the translation is happening, or mute option for translated voice to simply turn the translated audio on or off. For more details, please see the source link.